Martinborough’s community leaders are in disbelief and want answers after the town was hit with E.coli contamination for a second time this year. At least two Martinborough businesses have taken water treatment into their own hands as a result, and proprietors say they are concerned the town’s reputation is being tarnished. A boil water notice was issued by the South Wairarapa District Council at 6pm on Tuesday night after positive results for bacteria at the reservoirs and a testing site at Shooting Butts Rd. The council says the water supply network surrounding the sites has since been chlorinated and more tests have been carried out, with results expected yesterday morning. This comes after a damning report revealing regular non-compliance from the council in meeting Drinking Water Standards for New Zealand [DWSNZ]. The report, written by expert water consultancy Lutra, was commissioned in the wake of a three-week boil water notice for the town in February, with a malfunction at the UV treatment plant pin-pointed as the likely source of contamination. 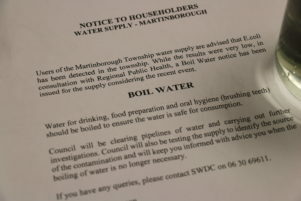 Since then a multitude of experts have been assisting the council in safeguarding its Martinborough water supply. So, community leaders are now scratching their heads asking how another contamination event has occurred. Martinborough councillor Pip Maynard said, “I’m angry this has happened a second time to my community, and 24-hours prior to this being advised, we were sitting in a public meeting for the Martinborough community hearing from experts from around the Wellington region about what measures had been put in place to make our water safe. Maynard said she now had “serious concerns” over the council’s ability to oversee its own water supplies. Martinborough businesswoman Dudley-Anne Hill, of Neighbourhood Coffee, said the first contamination had resulted in her spending about $10,000. She didn’t want to take any more chances so she, along with Kitchener’s Cafe, had UV filter systems installed. This means Hill’s business is relatively unaffected by this latest event, however, she has serious concerns about how the contamination will affect the town’s image. Adam Newell, of Union Square at Martinborough Hotel, agrees that Martinborough’s positive image will be tarnished. He said if people suffered food poisoning from a restaurant it would simply be shut down, yet he questioned how the council was being held to account for risking its constituents’ health. The ordeal was stressful for staff as well, Newell said, having to be bearers of bad news to customers. Marty Davis, who owns The Wine Bank, summed up the ordeal as “gross incompetence” by the council. Martinborough Community Board chairwoman Lisa Cornelissen said this second event was of huge concern to all residents, particularly the vulnerable. “There’s a sense of disbelief that it could happen again. She said council staff were doing all they could to resolve the issue. Cornelissen owns Martinborough Top 10 Holiday Park and said keeping guests safe was her priority. She also had concerns around the effect on Martinborough’s reputation. Pain and Kershaw manager Conor Kershaw said having a boil water notice in place created more work and costs for businesses. 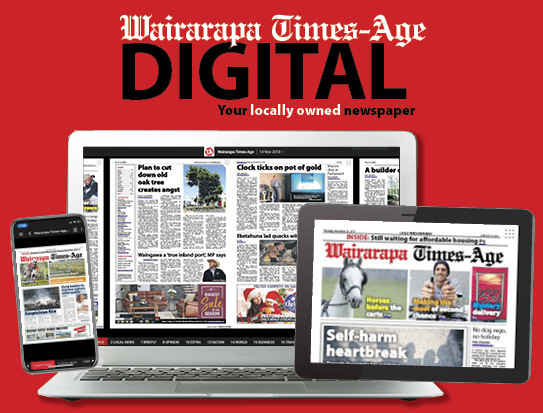 Martinborough School board of trustees’ chairwoman Kirsty Shepherd said the council had done a good job of getting the news out to the public. She said the council was lucky there were no associated illnesses or deaths to date, and the town deserved answers. 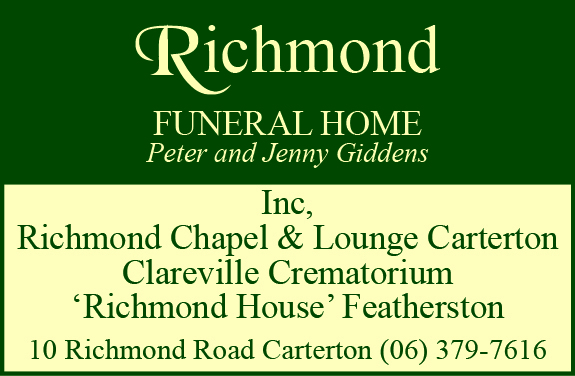 Cr Pam Colenso said she was devastated and sorry that a second incident had occurred. She said it was good that the council had fast-tracked the installation of a manganese removal plant which would give the council the opportunity to chlorinate if required in future. Cr Ross Vickery said clearly the council did not have adequate resourcing or knowledge to manage the three waters [drinking, storm, and waste] in its district. He said a shareholding partnership with Wellington Water could be the answer. 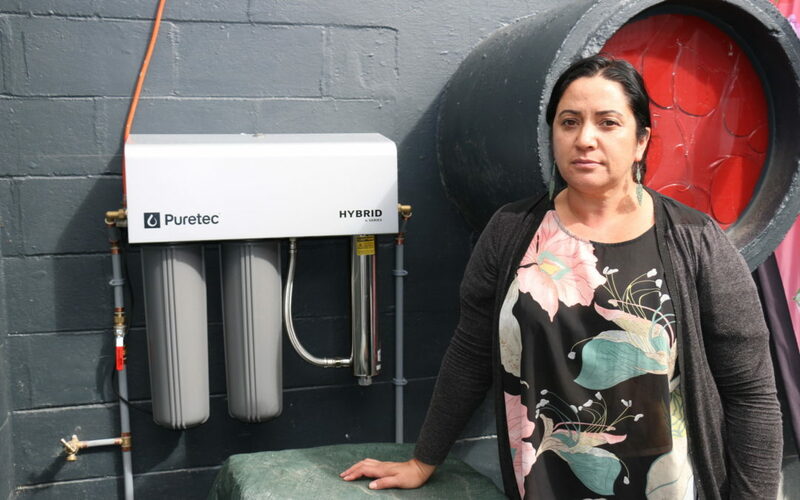 Water bladders providing safe water have been installed at Martinborough School, rugby club and golf club, the Town Square and the Waihinga Centre.